Kestrel is the general’s daughter in an empire that is constantly seeking out new territories and enslaving those they conquer. As such, she can either join the military, or get married. However, neither option appeals to her. On instinct in the market one day, she bids on a defiant slave and ends up winning, bringing him home unexpectedly. What is even more unexpected is the way she begins to feel about this slave, Arin, who seems to have his own secrets. This is one of my favorite books from this year so far! There are so many different elements to this story and the way the world is built in this book is phenomenal. Kestrel’s people took over the land that Arin’s people had long inhabited and turned his people into slaves. They actually took over their former homes and claimed them as their own. Since Arin’s people did not have a great military presence they were unable to fight back successfully, and those who were once nobles in their society were forced to become slaves just like the rest. Kestrel seems to have much more of a moral compass than her father and the rest of the empire. She also is very strong, and not just because her father forced her to train with weapons since she was a child. Her intelligence and wit is what makes her strong, and she is able to out wit almost anyone, even when her life is at stake. This story is told from both Arin and Kestrel’s perspective, and what this really serves to do is allow the reader to get a glimpse into the secrets Arin is keeping. Therefore, we learn what is really going on before Kestrel does, which makes the story even more interesting. This was definitely a smart narration choice because it kept me biting my nails wondering how Arin was going to reveal the truth to her. Arin himself is a very complex character–he is old enough to remember his previous life before slavery and he is educated enough that he can speak the language of Kestrel’s people, which gives him an advantage. Despite their obvious differences and conflicts, Arin and Kestrel begin to fall for each other, unfortunately at a very inconvenient time. Overall, The Winner’s Curse was an exciting read that kept me on the edge of my seat. This was definitely one of the best books I’ve read this year so far, and I can’t wait to read the next one in the series! 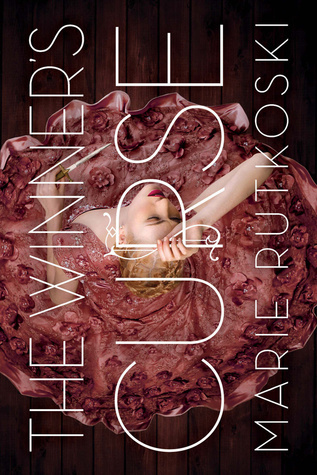 The Winner’s Curse was released on March 4, 2014 and is the first book in The Winner’s Trilogy.